In their July/August 2018 issue, Escapees, a magazine dedicated to “sharing the RV Lifestyle,” included the pen-shaped non-scratch Scrigit™ Scraper cleaning tool in their brief list of highlighted products. Last August, Family Motor Coaching, another leading magazine covering the motorhome lifestyle also featured the Scrigit Scraper as an essential tool for people with recreational vehicles. The Scrigit Scraper is ideal for motorhomes where space is limited and weight is always a consideration. The plastic tool is about the size of a pen, so it takes up little room and weighs very little. In addition, the scraper has a wide range of uses, which is ideal for anything carried in a motorhome. The versatile tool is about the size of a pen but with two different scraper tips. On one end is a round-edged scraper, based on the shape of a fingernail. On the other end is a flat-edged scraper. A Scrigit Scraper can remove unwanted substances, such as dried food, candle wax, accumulated grime, and adhesive labels and tape, from household and vehicle surfaces, whether flat or curved, including Plexiglas windows. The tool reaches into tight spaces, corners, edges and grooves. 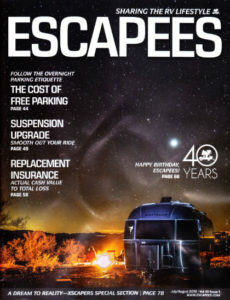 It is safe to use on most surfaces, keeps you from damaging your fingernails, and is made in the U.S.A.
Escapees magazine, published by the Escapees RV Club, is packed with useful, entertaining, and specialized information on all aspects of RVing. 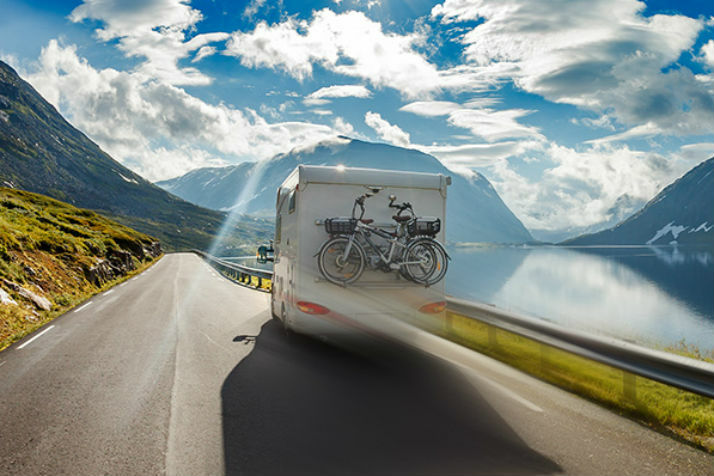 The Escapees RV Club is dedicated to supporting the RV lifestyle with everything needed to make it easier, more affordable, safer, and fun! Members enjoy a comprehensive suite of discounts and support services, as well as numerous education options and access to a friendly and supportive community of RVers.